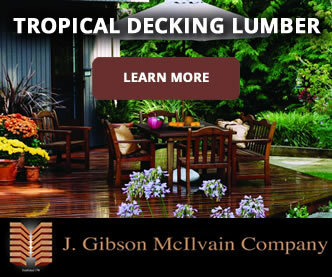 While exotic hardwood dealers would be quick to detail the reasons to purchase wood originating from outside the US, wholesale lumber dealers like J. Gibson McIlvain that deal with both exotic and domestic species of wood can give you fair comparisons and unbiased information specific to your job at hand. 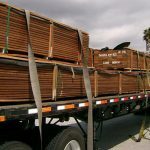 As exotic hardwoods are certainly in high demand, cherry wood lumber remains a staple within the building and furniture industries. 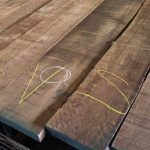 While McIlvain lumber specializes in hardwoods and carries more than its fair share of exotic hardwoods, it has no plans to discontinue its assortment of domestic species, among which cherry wood lumber is a dominant part. 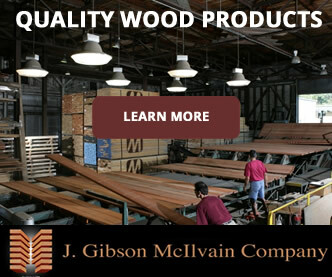 Throughout its history and growth alongside that of the US, McIlvain lumber has worked with American-milled cherry wood lumber, from its original location outside the beginnings of Philadelphia, Pennsylvania. Most of America’s cherry trees grow in Pennsylvania or Virginia, making it common in many of the places where our nation’s first cities were built. As early as 1798, the McIlvain family was building relationships with mills all along the Ohio River Valley, where they’ve become more than adept at furnishing their warehouses with cherry wood lumber that has vibrant and consistent coloring, clear grains, and beneficial heartwood-to-sapwood ratios. Throughout McIlvain’s more than two centuries of experience, they have found the Appalachian region—and particularly the Ohio Valley region—of the US, to produce the most valuable exhibitions of cherry’s prize qualities. 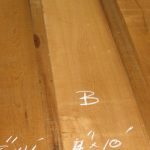 McIlvain’s stock of cherry varies widely in thickness, length, and width, largely due to the various mills with which they work. Because of cherry’s rich, warm tones and subtle graining, many consider it ideal for interior doors, as well as window casings, and mouldings. 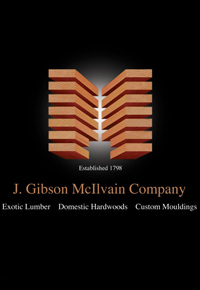 McIlvain lumber lists it among 12 domestic species of wood in available for many stock applications in its extensive architectural millwork catalog, and their moulding experts can help you determine which applications and moulding profiles would be best paired with cherry, as opposed to other exotic and domestic woods. 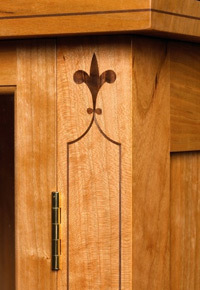 Even though cherry wood lumber certainly has many potential uses, its chief traditional use can be found in furniture. 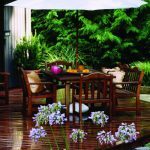 When cherry wood lumber is dried properly, it moves predictably, making it highly coveted by craftsmen for its workability. This quality makes it ideal for the sometimes painstakingly detailed workmanship found in the most formal of dining room sets and ornate four-poster beds. 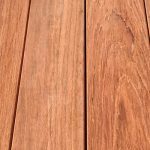 The luxurious deep reddish brown color of finished cherry little resembles the lumber in its rough-sawn state. At that point, the color could be described as a light pink. 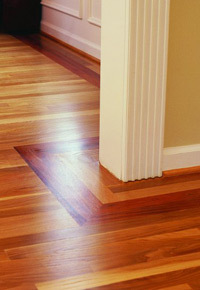 When the wood is exposed to air and sunlight, though, its color tends to deepen. Even a week’s worth of bright light exposure can make a noticeable difference in color, but the kind of deep shades for which cherry has become renown defies the patience level of a society so accustomed to instant gratification. While some still opt to use maximum exposure to help the color-changing process along, many manufacture the deeper hues through stains and dyes.